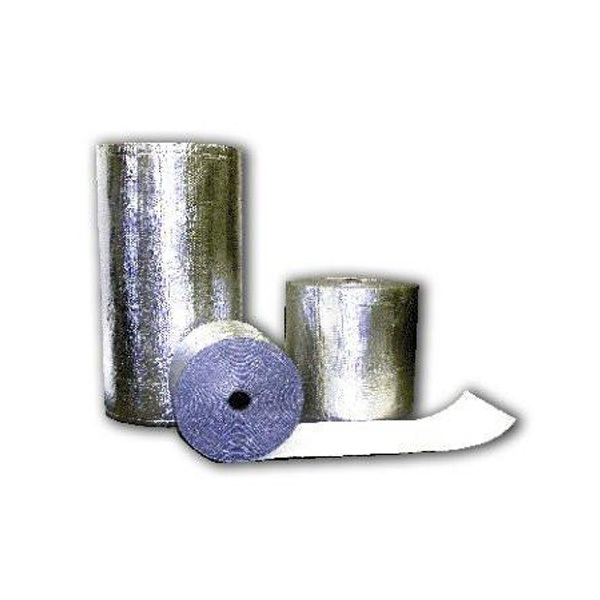 Consists of one layer of polyethylene air bubble pack sandwiched between one layer of white and one layer of reflective foil. The bubbles form trapped air spaces to provide excellent “R” values. The solid film and foil surfaces stop convection heat loss and infiltration while the aluminum surfaces stop radiant heat by reflecting it. 4′ x 125′ Rolls.